The Gerety Awards has launched an all power women line-up for its jury to address the lack of diversity in creative awards shows. 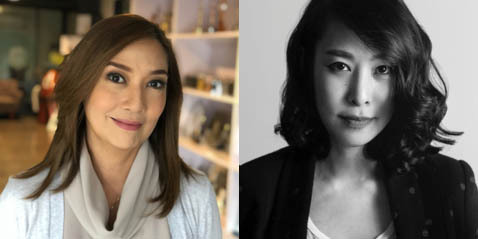 6 prominent women from the Asia have been named on this prestigious jury made up of brave, strong, accomplished agency and brand women leaders from around the world. On the jury from Asia are: Merlee Cruz-Jayme, Dentsu Jayme Syfu’s Chairmom and Chief Creative Officer (pictured above left), Damisa Ongsiriwattana, Founder/Executive Creative Director, SOUR Thailand (picture above right), Emilie Veillon, Executive Creative Director, JWT/Mirum Vietnam, (pictured below top left), Hansa Wongsiripitack, Vice President, The 1 Strategy & Marketing Central Retail Corporation Limited Thailand (pictured below bottom right), Kainaz Karmakar, CCO. Ogilvy Mumbai (pictured below top right) and Tista Sen, Regional Creative Director, J. Walter Thompson South Asia (pictured below bottom left). Named after Frances Gerety, the copywriter who coined the slogan “A diamond is forever” for DeBeers in 1948, The Gerety Awards’ creation is designed to provide a global platform for talent and support initiatives that champion diversity in the creative industries.